Il Tridente can be found right on the edge of a stunning blue flag beach, which makes this a great place for luxury camping enthusiasts to unwind in style. 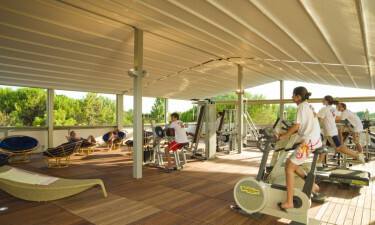 This campsite offers guests first-rate amenities to make use of as well as activities for people of all ages, and you can book your stay here through LuxCamp. People who have always wanted to try their hands at archery and other types of activities are sure to have fun at Il Tridente. 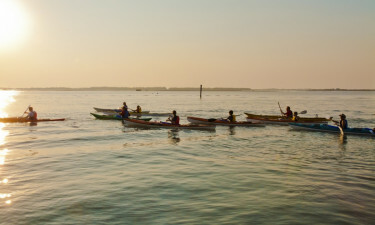 A number of special sports courses are offered both on the site itself and on the beach and some of the popular options include football, kayaking and gymnastics. 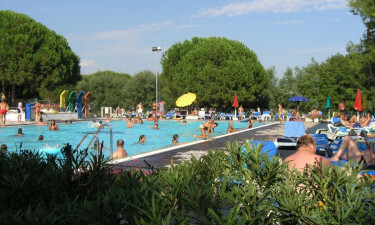 Why choose Camping Il Tridente? The wading pool is a great place for the little ones to keep cool during their camping holiday. Special water aerobics classes are also offered by staff and are suitable for people all ages. Guests will not need to go far to soak up the sun during their camping holiday as the enchanting blue flag beach of Bibione can be found right at the edge of the site. The sand is set with sun loungers, while sailing and kayaking can be enjoyed in the crystal-clear water that laps the shore.